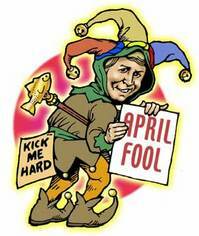 Now the April Fools Day buzz has settled down and the persistent gaggery has gradually waned, it’s time to reveal if you were April Fooled. Unfortunately, we live in a time when almost anything is possible so I must admit, I was taken in, by one story in particular. I won’t say which one, realised I’d been duped. But forget about me, were you fooled? Let’s take a look at what comical gadgets infiltrated the web this morning. It looks believable, the concept isn’t too outlandish, so why wouldn’t there be such thing as a helicopter-style hotel? Well, when you consider it was said to have 18 luxurious rooms “for adrenalin junkies seeking a truly unique and memorable travel experience”, its believability factor drops somewhat. Read all about it here. Designers and mobile manufacturers have been collaborating for quite some time now, so why wouldn’t this be true. Turns out Duncan over at Tech Digest was having a bit of Photoshop fun this morning. Check it out here. After 188 years of ink, the Guardian announced it would only be available via that ubiquitous microblogging tool, known as Twitter. If you fell for this one, you deserve all the pointing and staring you get. Read the piece here. The Daily Express claimed a British inventor had created an invisible car allowing motorists to beat and dodge speed cameras. After one too many Bond movies, there are a few out there who believe this is a totally feasible idea. The realists among us however have a different theory. Read the story here. The Daily Telegraph claimed that harnessing the power of fish swimming through a river could hold the key to meeting Britain’s future electricity needs and that installing electric prongs along the riverbed was the way forward. Read it in full here. Now hands up how many of you have egg on your face for falling victim to the April Fools tomfoolery?